Are you obsessed with taking a cruise vacation? If you love to cruise, check out these 14 things that only you and your fellow cruisers will understand. Avid cruises will swear that cruise holidays are the most addicting type of vacation that you can take. Maybe it’s the ocean breeze, or arriving in a new port each morning. Could be the fun activities offered on board. One cruise is all it takes to start the addiction. Do you work to support your cruise addiction? A room without any windows? Yes, inside staterooms are not only available on cruises, but for many are preferred. The value that they offer allows cruisers to sail more often. And besides that, how much time do you really spend in your cabin on a cruise anyway? Sea days are the best! Kick back and relax. Ever hear, “I would take a cruise, but I don’t want to be stuck on a ship”? For frequent cruisers, sea days quickly become the favorite days of a cruise. As soon as Funiculi Funicula starts playing at dinner, you immediately start waving a white napkin over your head. Waving napkins is also encouraged during the Baked Alaska parade. Land based vacations are normally booked one at a time. 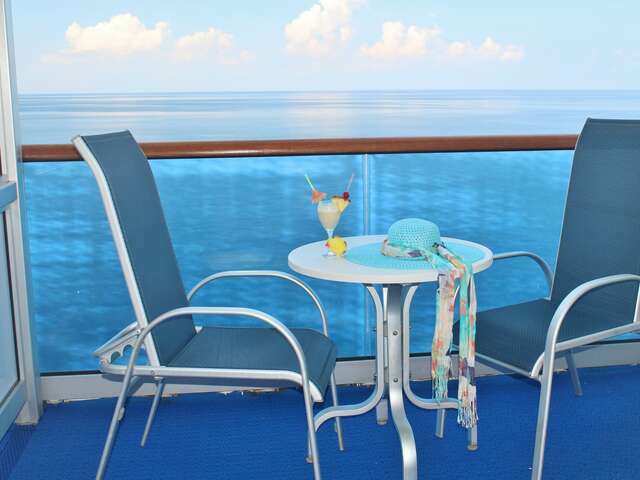 However, a cruiser can have several cruises currently booked. It is also common for some to disembark one ship and immediately embark on different cruise ship or the same ship on the same day. This is unfortunately true due to the rampant saving of chairs on the lido deck. Typically takes place immediately after returning to the ship after a day in port or at the poolside grill on sea days. With all of the amenities and features that cruise ships are offering now, getting there IS the fun! Sleeping in means missing out on the most beautiful sunrises. Sunrises at sea are nothing short of spectacular. The thrill of embarkation day never gets old. No matter how many times you’ve cruised, you wake up with the same excitement as a 10 year old on Christmas morning. While they are only strangers on the first night, traditional dining on cruises seats you with other guests. Friends for life have been made this way. Ordering multiple entrees at dinner is not only allowed, it is totally normal. Can’t decide between the salmon and filet, order both! No, you aren’t going to a wedding, you want to be prepared for formal night. Life is measured by how many days you have left until your next cruise. Ready to book your next cruise? Give us a call, our cruise experts are here to help.